IDFC Institute hosted a closed-door meeting on the Draft Mumbai Development Plan for 2014-2034, which is currently under review. The discussion was led by Dr. Bimal Patel, President of CEPT University in Ahmedabad, and a presentation was made by Mr. VK Phatak, who was an Advisor to the MCGM for the Mumbai Development Plan and was earlier the MMRDA Town and Country Planning Division’s Principal Chief. The discussion sought to explain some of the fundamental planning principles that underlie the plan, contextualise the Development Plan as a piece in the development process, and explore how defined or flexible its framework should be. It also considered the aspects that should most importantly be retained or changed. Read Dr. Bimal Patel's article on the FSI policy below. While the conversation was off-the-record, broad themes that were addressed are summarised below. While shaping the built environment, there has always been a tense relationship between politics and urban planning. Competing interests and poorly informed notions impact policies, and many past experiences, including the recent debate on the current Mumbai Development Plan, indicate that politics often outplays analysis. A critical piece of the planning process is communicating the plan and its underlying principles to the city’s residents. Several of these planning proposals, such as the need to increase FSI in a dense city, may at first seem counterintuitive. Mr. Phatak began by situating the role of a Development Plan (DP) in the context of the myriad other plans that are made for a city. He explained that the purpose of a DP is to provide a broad framework, within which a city can evolve over the next 20-30 years. Since it is impossible to accurately predict the future, it is important for a DP to be flexible and simple. In fact, previous DPs, in trying to predict the future, have been overly deterministic and prescriptive, and in the process have distorted the growth of the city by preventing it from responding to changing market dynamics. Mr. Phatak explained that a DP also has several concomitant sectoral plans, such as a comprehensive mobility plan, water and sewerage plan, and health plan. The focus of the present DP has been on simplification of procedures and development control rules (DCRs), and on flexibility. It recognises the distortions created by previous plans and seeks to address them. For instance, previous DPs would compulsorily reserve and acquire land for a hospital or maternity home 20 years in advance, while the current DP specifies that when a certain plot goes up for redevelopment in the future, a small portion of the land will be taken by the municipality to build a social amenity that is relevant at the time. While some claim that the DP is a futile document, given estimates that only 15% of the previous Mumbai DP was implemented, Dr. Patel noted that over 90% of the Ahmedabad DP was implemented, and so a feasible and practical plan would bolster its legal sanctity, improving the city’s regulatory environment. The group deliberated on the contentious issue of increasing FSI. Dr. Patel explained that capping FSI has never been a successful instrument to control population density and that demand for a desirable area cannot be wished or regulated away. Instead, FSI caps end up making desirable locations more crowded, with less space per person (rather than fewer people), and dramatically increase land and housing prices. The current FSI limits in the city have created an artificial scarcity of floor space, which authorities have monetised to generate revenues. In any case, where builders see high demand, they purchase extra FSI, and the cost of this is passed on to the end user. Dr. Patel explained that the proposed liberalisation of FSI holds tremendous benefits for citizens of the city. While developers benefit from a culture of exceptionalism and a maze of bureaucracy that they can navigate, liberalised FSI simply breaks the supply-side scarcity and reduces the additional cost burden on homebuyers. Dr. Patel reflected on two of the most pressing citizen concerns – that higher FSI will lead to more ‘density’ and that this in turn will overwhelm infrastructure. However, across the world, even in densely populated cities, it has been seen that, if used effectively, higher FSI allows for more space per person, rather than more people. While the number of people in an area may increase marginally, in the long run land in the city is used more efficiently, particularly in desirable locations. FSI caps in Mumbai have been justified by linking them to the infrastructure or ‘carrying capacity’ of the city. However, successful cities like New York and Hong Kong have enhanced carrying capacity in tandem with increasing FSI – as a city grows, public transit must be upgraded and room must be made for new inhabitants, instead of tying the city to its past. The current DP follows the same thinking, with higher FSI proposed along major transit corridors - yet it is important to appreciate that these processes take several years to unfold as cities develop and redevelop over the years. Building additional infrastructure also requires more land in the public domain, and in a space-starved city like Mumbai, FSI can be used as a way to create public land. For instance, suppose that connecting roads or a public park is needed in an area on which a short build currently stands. If the government thinks it appropriate to increase FSI in that area, it is likely that the building will be torn down and redeveloped, to take advantage of the opportunity to earn more through the sale of more apartments. When the building is torn down to consume the new FSI, the government can require landowners to turn over a portion of their land for the public amenity- essentially trading vertical space for ground space, which is a far more equitable and feasible solution than forcible acquisition. Dr. Patel, also drew on his experience with the DP of Ahmedabad, for which he was a key advisor. The planning processes and policies in Ahmedabad are widely accepted to be fair and desirable because they respect individual property rights, are financially viable to both the implementing agency and to stakeholders, and the provisions are legally implementable. They seek to expand public land area and improve street and open space networks, thereby encouraging walkability. Building byelaws in Mumbai currently require ‘set back areas’ – a distance between the building footprint and a boundary wall. However, older parts of the city, such as Fort, have buildings built directly adjacent to the street, with a shaded, sidewalk or ‘arcade’ for pedestrian access. The recent DP in Ahmedabad proposed that as buildings go up for redevelopment, they may do away with setbacks and instead build the entire plot, with only the sides of the plot, at street level, now open for pedestrian access. Most dense international cities follow this pattern to gradually increase walkability and safety on the roads. This also eventually leads to evolution of a coherent urban form for the city. The need to conserve heritage structures was recognised, but it was also argued that it is unfair to deny all owners of heritage structures the opportunity to earn money by developing buildings like other landowners can. While other landowners can respond to changes in demand and building laws to bring down and re-make buildings, restrictions on heritage building owners limit their ability, or right, to earn money. If heritage structures are to be conserved, the city should consider the cost of not redeveloping them and find a way to compensate the owners of heritage buildings. The group also considered that such plans must be rooted in a politically shrewd awareness of what drives resistance to aspects of planning and reform, particularly from the public space. Planners should formulate and sequence processes accordingly, and use innovative approaches to convey sometimes counterintuitive principles, in order to facilitate efficient policy implementation. 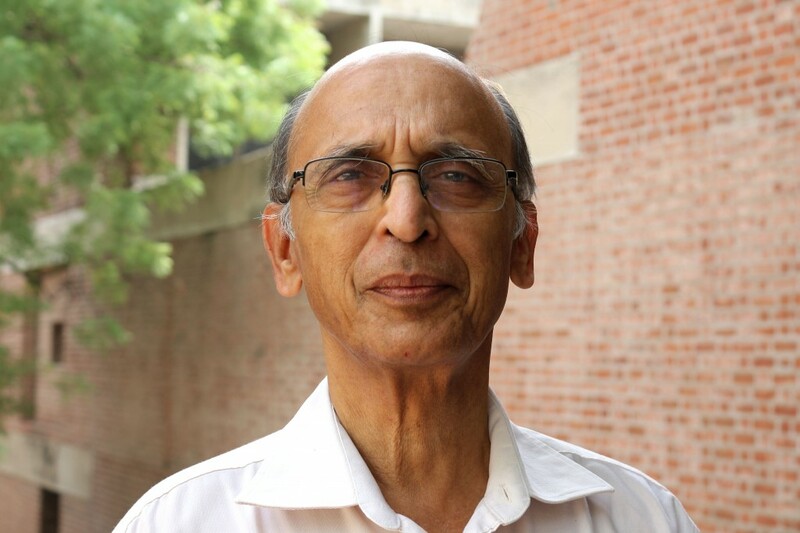 Dr. Bimal Patel is an architect, urban planner and academic. He heads HCP, a design, planning and management practice based in Ahmedabad. He is also President of CEPT University. 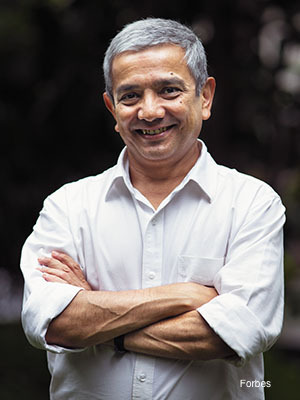 Patel received a Diploma in Architecture from CEPT, Ahmedabad, a dual Masters in City Planning and Architecture from the University of California, Berkeley and a Ph.D. in City and Regional Planning, also from Berkeley. His architecture, urban design and planning projects have won many national and international awards. His published research is in land-use-planning, land management, housing and building regulations. He has recently completed a book on the architecture of Hasmukh Patel. VK Phatak is Advisor to the MCGM for the Mumbai Development Plan and was earlier the MMRDA Town and Country Planning Division’s Principal Chief. Dr. Bimal Patel on the Draft Mumbai Development Plan for 2014-2034.